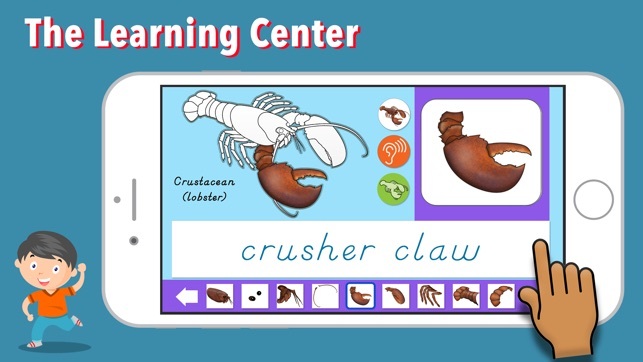 Learn the parts and names of different invertebrate animals. 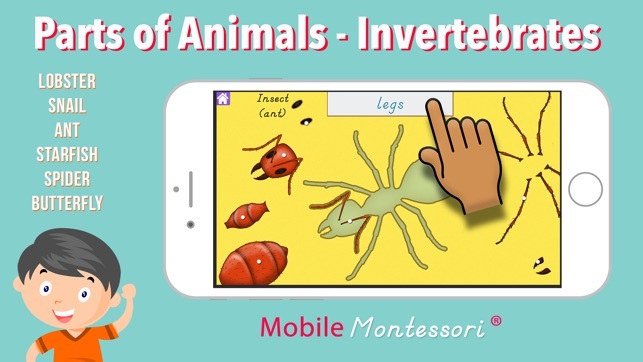 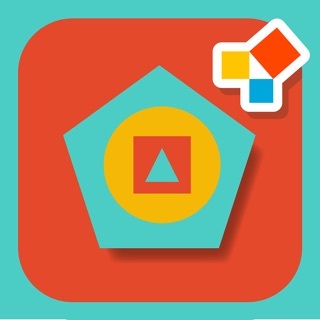 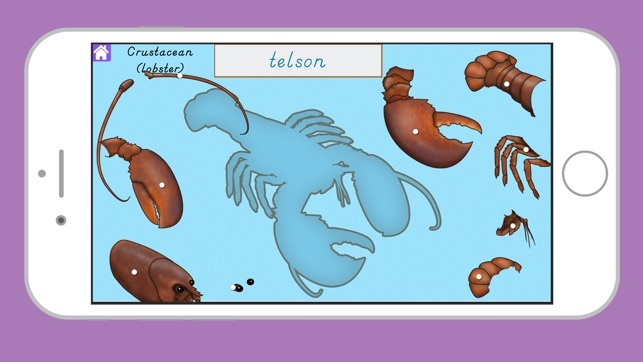 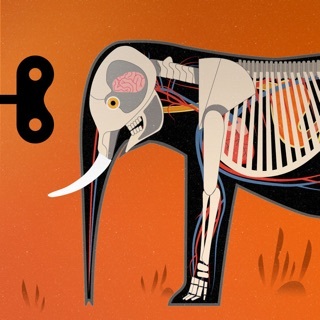 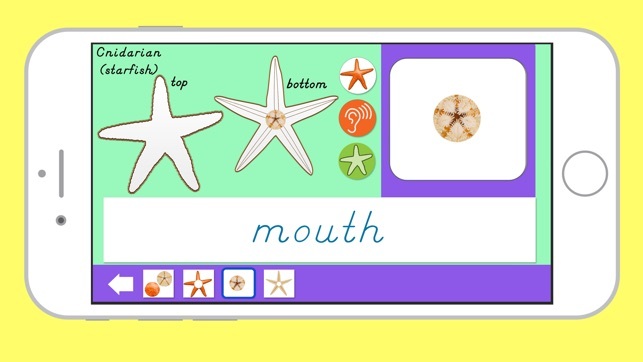 This app nicely complements the animal puzzles used in the Montessori Classroom! 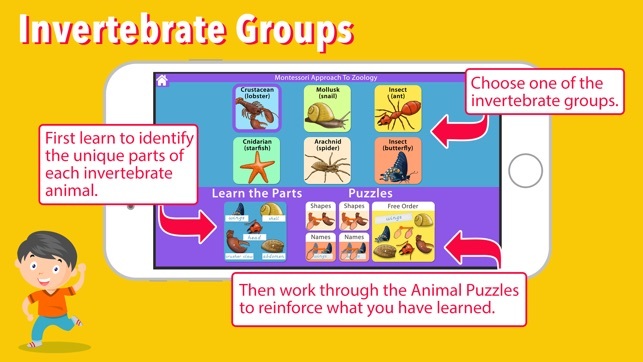 In Lesson #1 learn the parts and names of the different invertebrate animals. 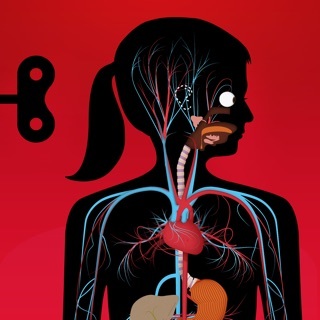 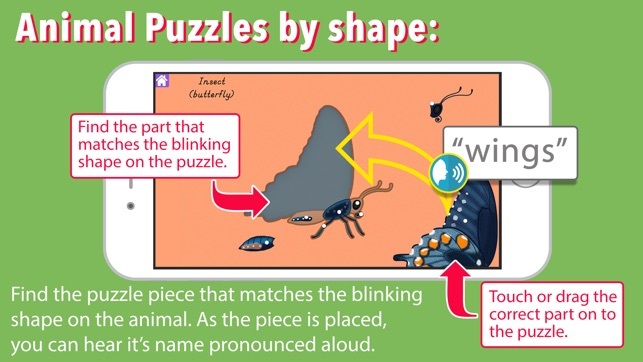 In the first animal puzzle lesson, children have to look for the animal puzzle piece that is blinking on the diagram. 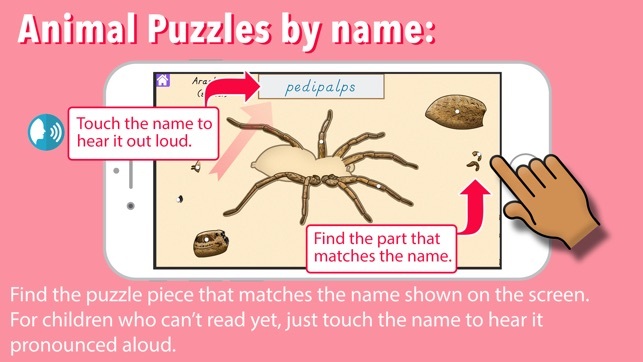 When they touch or drag the correct piece it will move into position on the diagram and the name of the part can be heard aloud. 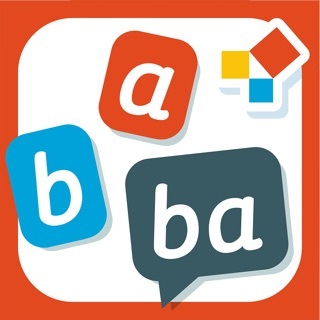 Use the app on any iOS device! 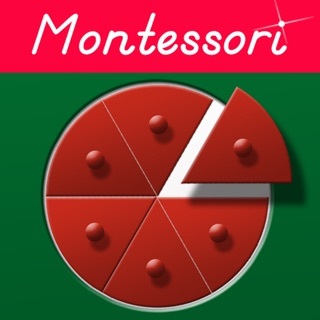 Thanks for your support of our Montessori apps for Kids!